This post is from a guest swap I originally did with Outlander Kitchen. She cooked up a little Westerosi chowder, and I got to play with food from a terrific book series. The finished stew is absolutely delicious. It’s thick, savory, and just unusual enough to be intriguing. The venison becomes mouthwateringly tender, while the dried tomatoes soften and soak up the broth. The roux magically enhances the stew, giving it a wonderfully rich consistency. Like most stews, it’s better the second day, after the flavors have had time to meld together. Combine the tomatoes and beans in a medium bowl and cover with 3 cups water. Allow to soak for at least an hour, and save the broth! In a stock pot, heat 2 Tbs. bacon fat. Add meat, brown on both sides, remove from pot, and set aside. Add onions, garlic, and carrots to the stock pot with a splash of the tomato broth. Cook 5 minutes, covered. Deglaze pot with ale and let simmer for about 10 minutes. Add the browned venison, stock, beans, rosemary, tomatoes, splash of maple syrup, and the tomato broth. Bring to a boil, reduce heat, cover and simmer one hour OR until meat is tender. Bring back to a boil. In a separate pan, mix the butter and flour for your roux, and let it cook for about a minute, until golden. While whisking the roux, add a few ladles of the stew broth, which will thicken when it combines with the roux. Pour the thickened sauce back into the main pot. Season with salt and pepper to taste, and enjoy! I love venison stew and this one looks good! 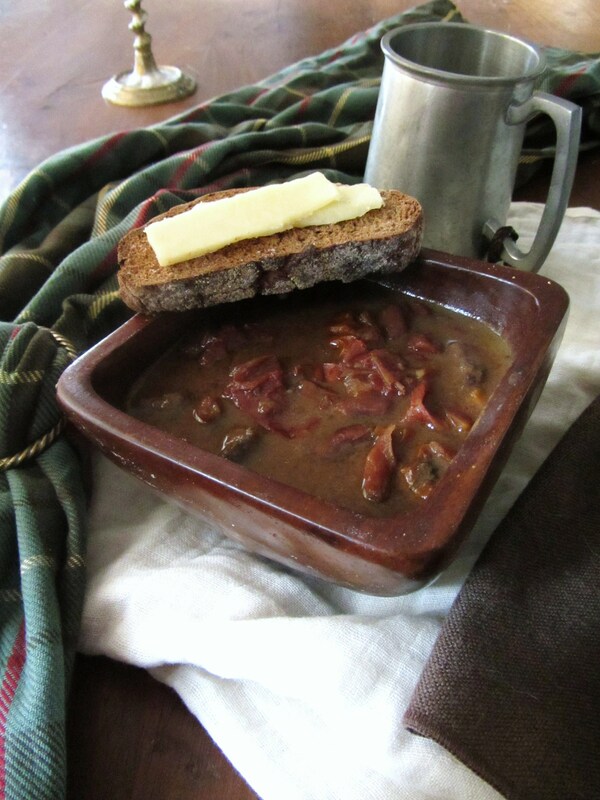 It’s a little quirkier than your average venison stew, but honestly, it’s my favorite!